← Who Should You Recruit? So, I hope you have found our look at Recruiting, Training and Managing a Sales Team useful. Sales are the lifeblood of any commercial company. Without strong, vibrant Sales, there is no company. So, unless you are a charity or NGO or similar, it’s important your Sales Team is the best it can be. Great Sales people are hard to find, and expensive to run, so you need to recruit the best, train them well, and retain them. So, it is critical to the health of your company to excel at this area. In Premier League Football, and many other professional sports, if a team is doing badly it is not the team who is blamed, but the Manager, and he will often pay for poor performance with his job. You can’t play the game for your team, but in the same way as a football manager, the Sales Manager must control play, and coach the team from the sidelines. Your success depends on your teams’ success. In this series of modules, we have looked at keeping a file on prospective salespeople, and how you can know you are recruiting the best people. Of course, if you can get hold of a Sales candidates accurate track record, that’s the best measure of their ability. We have talked about Aptitude tests, and that they can be useful if you have a clear understanding of which competencies and behaviours are required. We also considered what your Sales Team members need to know, and the qualities you might look for in a candidate. We have considered the career path you might follow in Sales, the kind of a career you might carve out for yourself there. We check out what is expected of a Sales Executive, Key Account Manager, Sales Manager, Regional Manager, National Sales Manager, and Sales Director. Then we thought about how you might train and induct new recruits, and that the Team need to know every aspect of your product from the consumers point of view. As a minimum, they need to know your Sales process, your product, and its benefits, your sector and clients. And if they are new to Sales they will benefit from a theoretical training course as well. I also recommended you reviewed our earlier modules on building a presentation. We looked in some detail at the Sales process, and thought about ongoing training, and especially coaching and mentoring. Sales meetings, reports, sales reviews and sales forecasting are a key part of life in Sales. 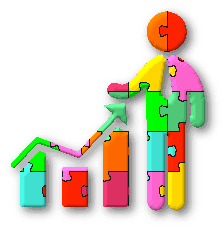 We talk about creating sales reports and sales forecasts, and managing those activities. We discussed how regular sales meetings afford an opportunity for regular coaching and monitoring, and for establishing Best Practices. I hope you have enjoyed this set of modules. We all know that Sales is one of the most essential functions in a company, so you must get it right.